I was feeling rubbish, you know one of those days where you just feel bleurgh? So Mum and I decided to treat ourselves. And then we RAN….just kidding we just started walking quickly. I am not going to lie, I have seen many pictures of the food here so I was quite disappointed in the interior as it feels cheap. If it wasn’t a chocolate cafe I would have turned around at the door. We sat down at a sticky table and were given our menus, the choice is unbelievable by the time you had finished reading the selection of hot chocolates an hour had passed (exaggeration). You can essentially get anything that involves chocolate – drinks, pancakes, waffles, fondue… you get me. 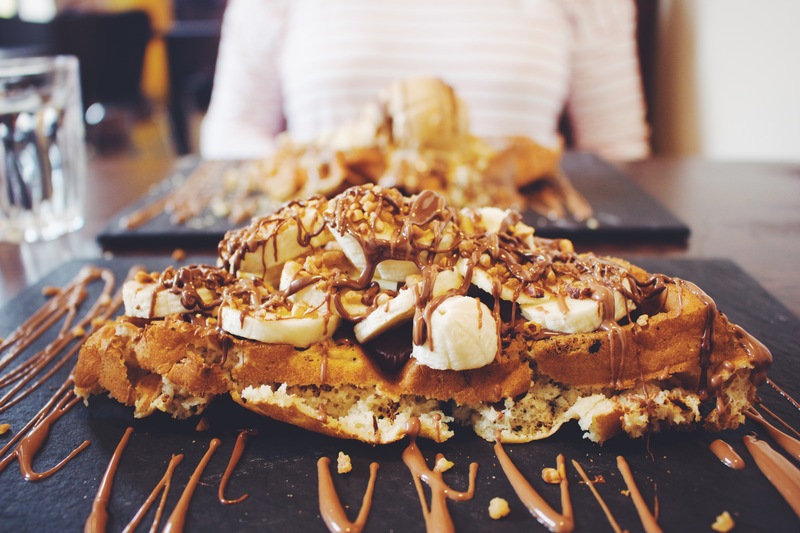 We both chose two waffles instead of four as we weren’t quite sure how big they were going to arrive – they were huge. Mum went for the caramel shortbread waffle – waffles with melted milk chocolate, topped with crushed shortbread, salted caramel ice cream and caramel sauce. This looked absolutely stunning as if it had just walked off a dessert commercial. Things were melting in all the right places! It was utterly divine too, I think I may be sprinkling shortbread on things more often. 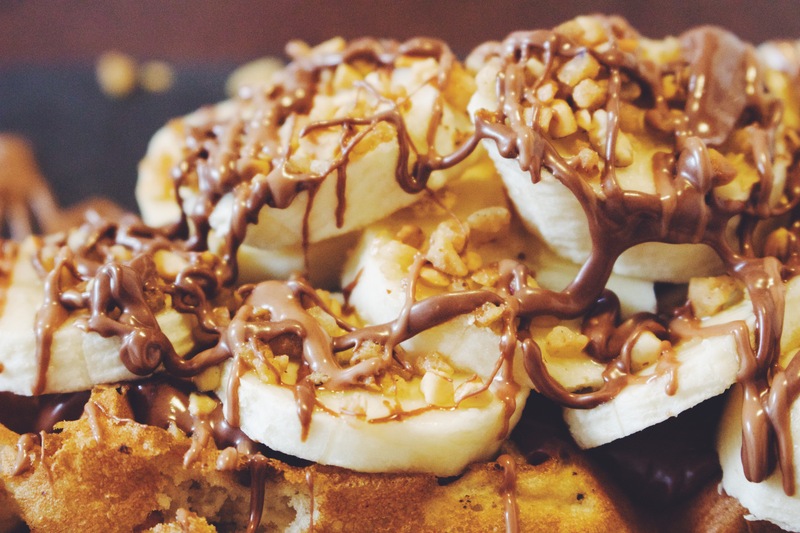 I went off menu and decided to make my own waffle up as I had Nutella on the brain, so I ordered waffles with Nutella, banana and crushed hazelnuts. We also ordered drinks, I went for a speciality hot dark chocolate with cream and marshmallows and Mum went for the chilli hot chocolate. I was slightly disappointed as I would assume a dessert cafe wouldn’t use the small marshmallows but the ginormous homemade ones, it was still tasty. Mum’s arrived and was essentially a chocolate pudding, it was so thick that you couldn’t drink it you had to use a teaspoon, it got to the point where we thought that it was definitely made wrong. So, we asked if we could get a little milk to thin it out and they said that they couldn’t but would make a new one. They gave us a new one which was the actual consistency of hot chocolate and had a nice chilli kick to it. 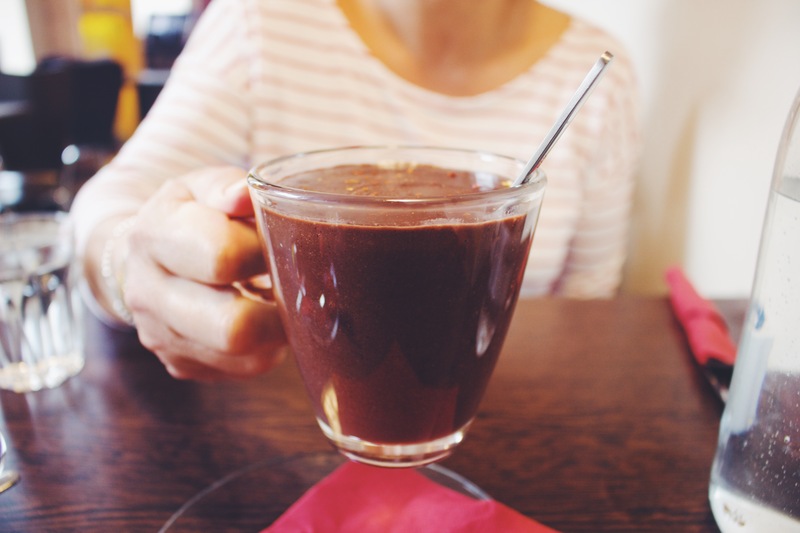 Have you been to Coro the Chocolate Cafe? What did you think? Price: 5/5 – waffles range from £5 to £8 depending on what you order and how many you get. 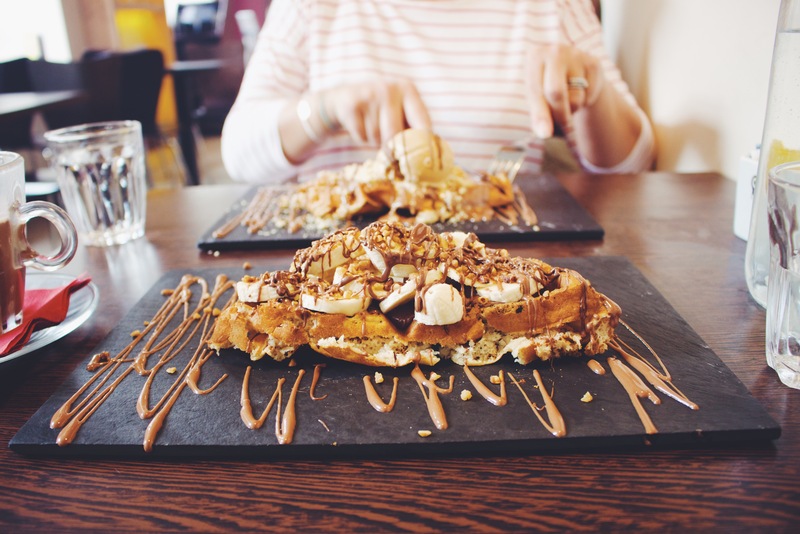 Recommend: You’ve had a rough day that even ice cream won’t cure so grab your support network and scoff some waffles. Great blog Talor. 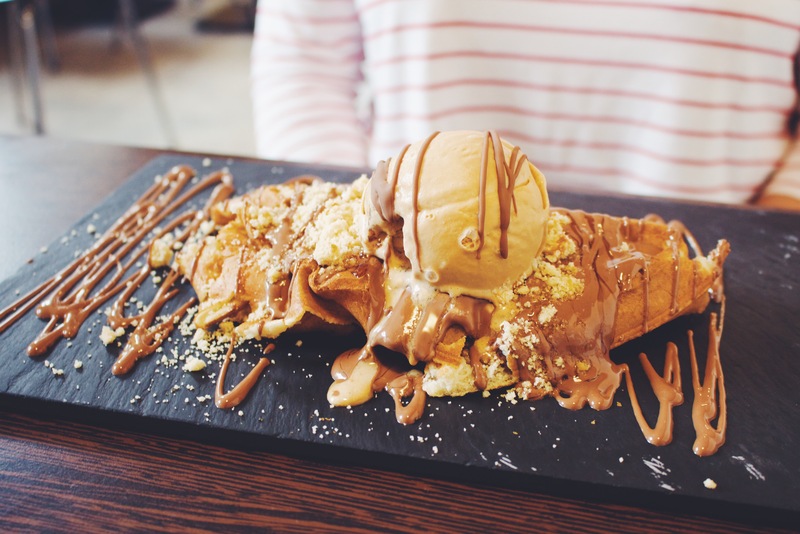 I’ve only ever tried the Crepes… will be going back for waffles after reading this! Next Next post: Have You Met…. Social Tailor?